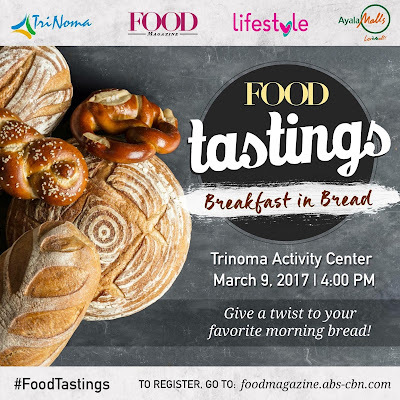 Make morning meals a lot more fun by joining female chefs Portia Baluyut, Pixie Sevilla and Kimberly Ann Boadilla in Food Tastings: Breakfast in Bread course happening this Thursday, March 9, 4PM at the Trinoma Activity Center. In this two-hour crash course, the guest chefs will present several breakfast concoctions using bread as the main ingredient. They will be joined by Quezon City’s famous café, Kamuning Bakery, a pioneer in pugod-baked goodies since the 1930’s. Every quarter, Food Magazine invites kitchen masters from various restaurants and bakeshops to take the lead in demonstrating exciting recipes at Food Tastings. Chef Portia Baluyut, host of Lifestyle’s “A Pinch of Portia”, will be giving tips to the audience based from her experience as chef and owner of Rustic Mornings, a restaurant that became popular with its all-day breakfast concept. She also owns Marikina’s famous “secret” restaurant, Isabelo Garden. Forget Me Not Specialty Cakes shop owner, Chef Pixie Sevilla, will showcase easy-to-cook breakfast noodle recipes care of Sapporo. One of the favorite Japanese restaurants in Trinoma, Café Shibuya, will also share quick breakfast dishes as its chef, Kimberly Ann Boadilla, conducts a live cooking session. Aside from learning new recipes and tips, the cookfest participants will get to try the best-tasting fares freshly prepared by the guest chefs. A selection of food booths will likewise be at the venue courtesy of Alpha Events Corp. 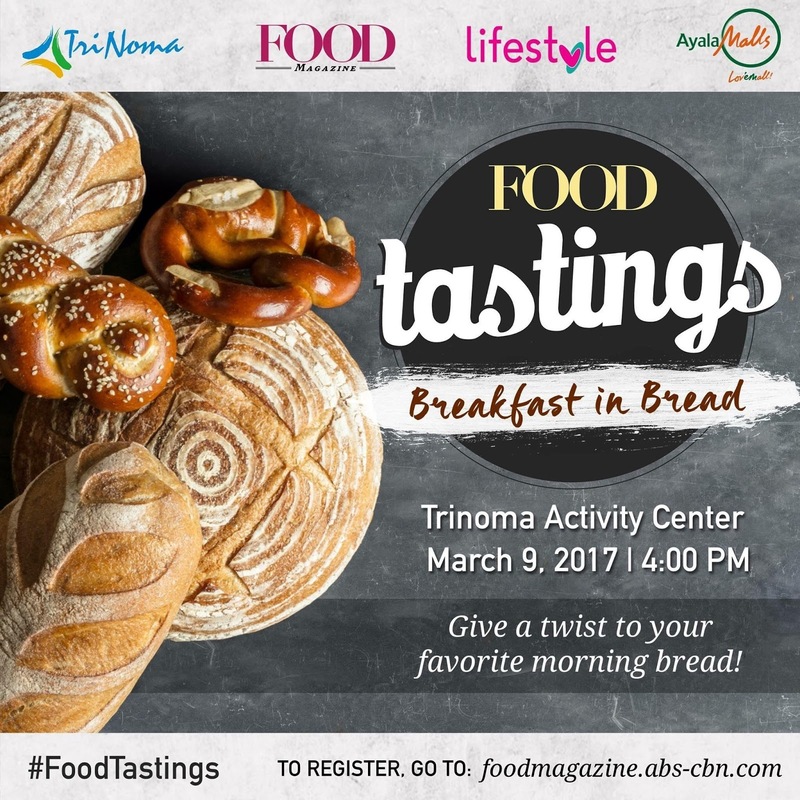 Registration at the venue will start at 3PM but interested parties may also register online via foodmagazine.abs-cbn.com. This latest Food Tastings installment is made possible by Saporro with the participation of Tefal. The event is supported by Café Shibuya, Kamuning Bakery, LEX Audio Events and Alpha Events Corp. together with media partners ABS-CBN Lifestyle, NoInk, WhenInManila.com and ABS-CBN’s premiere cable channel, Lifestyle. For more updates, follow Food Magazine on Facebook (facebook.com/foodmag) and Instagram (@foodmagazine).